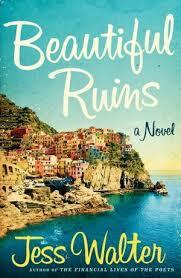 “A ridiculously talented writer.” – that’s what New York Times said about Jess Walter and Beautiful Ruins. I couldn’t agree more. The story begins in 1962, in a fishing village called Porto Vergogna in Italy. Pasquale Tursi, the owner of a small (and the only) inn on the island, spotted a beautiful, almost out-of-this-world kind of American actress who came to his island, and apparently was dying. The actress, Dee Moray, came from Rome, where there was the lavish movie set of Cleopatra, when scandals happened everyday including between the two main stars, Liz Taylor and Richard Burton. Dee was a part of that movie but she had to leave, hiding in Pasquale’s village because of her illness. Now, decades later, Pasquale is an old man, and he goes to Hollywood to look for the mysterious actress, trying to figure out what happened to her after she left his island discreetly years ago. Pasquale embarks on a journey, trying to find the missing puzzles and creating a whole picture of Dee Moray’s life. From an aging movie producer and his ambitious assistant, to Dee’s only son and even a young writer who didn’t know what to do with his life, Pasquale’s past and present dreams inspired everyone who joined his searching. The best thing about this book is how Jess Walter could skillfully move from one life story to another, and in the end make it a complete beautiful picture. I always like a book that contains more than one story or plot, like small little jigsaws that will come together eventually. And Jess Walter had successfully mesmerized me with his words, beautiful language and wonderful settings. To tell you the truth, the characters in this book are not easy to be liked. They are obnoxious, hypocrite people with pretentious lives- only Pasquale remained truthful until the end. But the flaws of the characters could fit nicely with the story, where it’s okay to create a mess as long as you’re still there to clean it afterwards. The settings of this book- from a secretive Italian coastline, to the glamor (but fake) Hollywood, and even the artful streets of Edinburgh, everything is great and beautiful and made me want to travel the world immediately. Like, right now. As someone who is in film, I was glad to hear the that the historical facts remained true. Cleopatra was a mess of production and almost destroyed FOX! Usually I’m not a fan for these types of reads, but after reading the review it reminded me of a book I enjoyed called “Ragtime”. If you’re looking for another book that takes the perspective of multiple stories and converges them at the end to make one story, I would recommend “Ragtime”. I would also recommend book two of The Water Travelers series–only problem is it’s not out yet, only book one is. Thanks for sharing your thoughts! Hope you like them both! Thanks Astrid! Like multiple points of view that converge into one story? 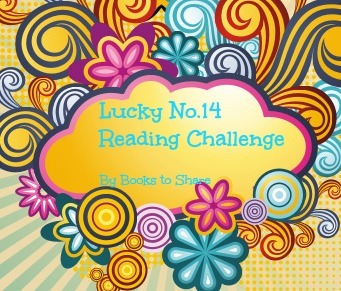 Maybe this book is for you!